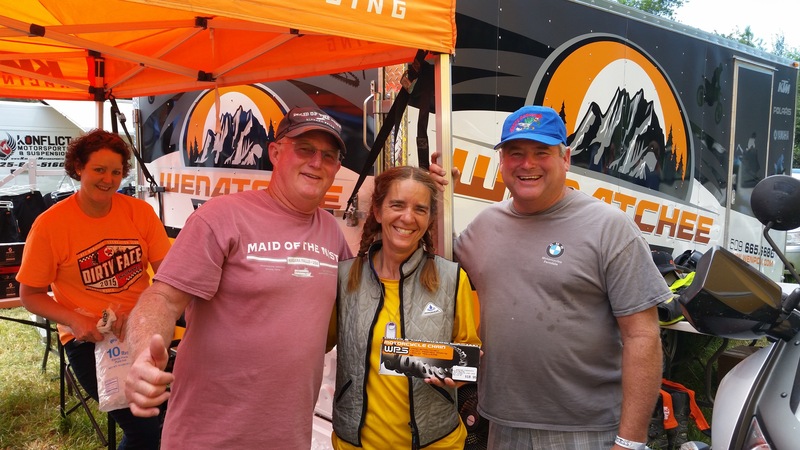 Back in May at the Overland Expo, I met Ruth Belcher, the organizer of Dirty Girl Adv. She was there to check out the event and the spread the words of this organization. You may be asking what is the Dirty Girl Adv is all about? 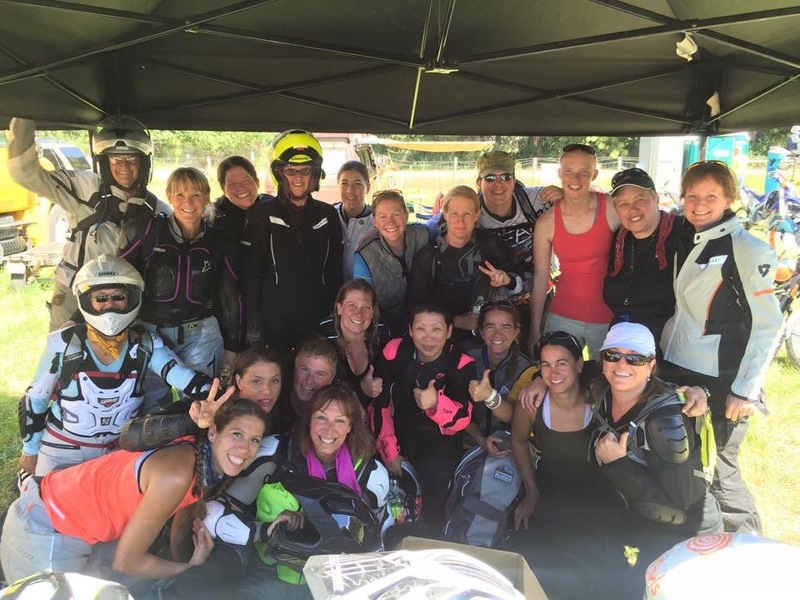 It’s a group for girls who like to have fun while riding in the dirt and to organize group rides. One night at the Expo, she was asking me about the purpose of my journey and was touched by my story. Then, she asked me if I would be in Washington during the time the Touratech Rally will held. I told her that I’m not sure since I don’t have a set plan or itinerary. She asked if I was in the area during the event would I be willing to speak at the Meet and Greet for the Dirty Girl Adv event. I told her that I would be happy to and to keep her posted on my whereabout. 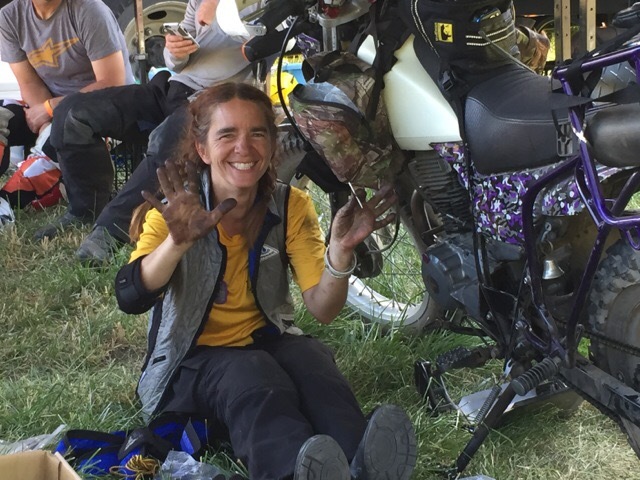 As the date got closer and as I meander up Hwy 1, it was looking like I would make the Touratech Rally after all and have advised Ruth so. She was so excited that I was going to make it. The Touratech Rally is an event for dual-sport bikes in conjunction with the Overland Rally. It include camping, classes, GPS tracks, group rides and entertaining guest speakers. On Thursday night, about 20 women showed up for the Dirty Girl Adv meet and greet where we got to co-mingle and get to know one another over a glass of wine. 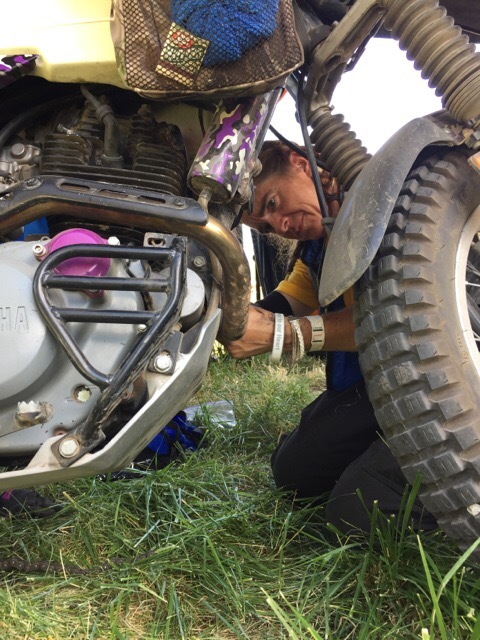 Toward the end of the event, myself and 3 other amazing women motorcycle riders got to share our stories and allow for Q & A about life on a motorcycle. At the end, we discussed which pre-planned ride we should do as a group and we choose an easy one so we can get the opportunity to visit all the exhibitors in the afternoon. So the next day, we all showed up and plus some more which we quickly realized it will be too large as a single group. So we split up in group of two, one for the spirited riders and the other one for the beginner rider where I will be on the sweep team since I have a small bike. Well, I didn’t get very far on the ride when the chain broke on my bike. Sigh, it seems like my bike has a curse on these event. You may remember last September at the Horizon Unlimited event, my throttle cable broke. Luckily, it happened at the beginning of the trail head and two male riders saw what happened. One of them got up to Ruth to let her know that my bike broke and the other towed me back to camp. It looked like the Master Link shattered due to a rock getting in between the chain and the sprocket. I thought I had a spare Master Link in my tool kits but I can’t find it. So, I went to one of the vendor, Wenatchee Powersports, to see if they have my chain on hand and unfortunately they do not. However, they will have an employee bring one up from their store which is about an hour away. Touratech allowed me to park my bike under their canopy while I waited for the part and to work on the bike once it got here. Both of them were my hero that day!!! On top of that, these two gentlemen decided to pay for my chain after hearing my story about my journey. While waiting for the chain, I started to doubt myself if I can replace the chain on my own. So, I asked Gary from Dirt First if he would be willing to oversee my process to make sure that I’m doing it correctly. Once the chain arrived, I got down to work on replacing it. As true to his word, he didn’t try to take over fixing it but gave me great tips and tricks on how to make the process easier for me since some of the rear bolts are hard to turn. Whoo-hoo, my bike is fixed but it is too late in the day to try to sneak in a ride and I still need to clean up. The girls finally came back and the hour ride ended up taking four hours since a couple of the girls never have been on dirt before and fell a couple of times. This brings back memories of the first time I went on dirt, I fell at least thirty times, no joke. I have done that same trails several times now and never fall once. I can’t believe how far I have come since that first time. Anyway, some of the girls want to do the same trails again tomorrow and was wondering of Ruth and I would lead and sweep for them once again. Yippee, I was excited that finally I will get to see some dirt. The next day, we got to ride the same trail again but this time with only five girls and boy it fun but very hot, it got up to 108 that day. 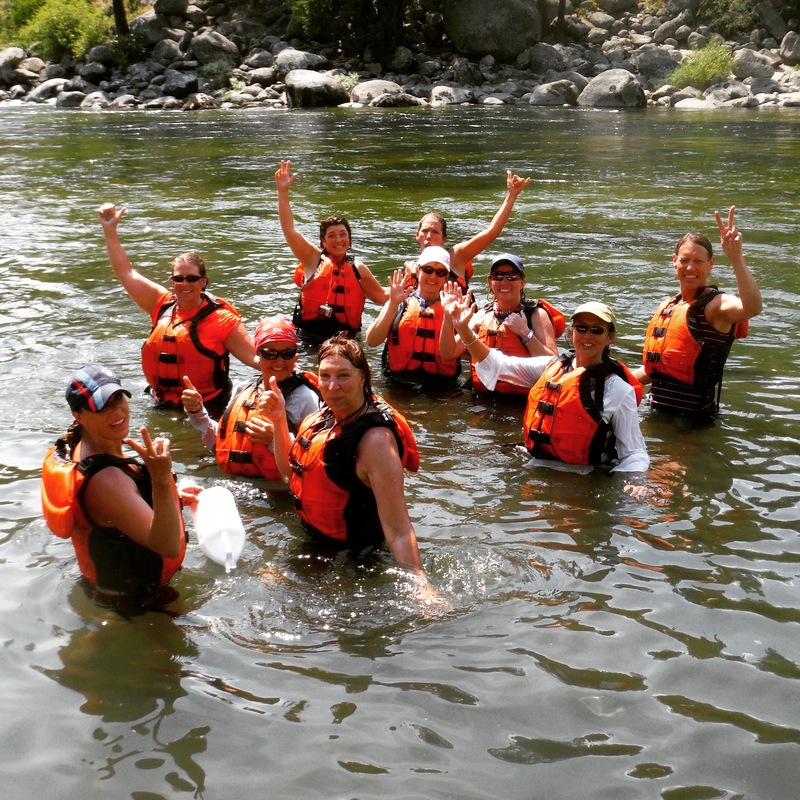 So, after our ride, one of the lady arranged for us to go river rafting and we had a blast. On one point ride, we got to pull up to a beach and jump into the river, it felt so good to cool down and to be clean again. On the bus ride back from river rafting, I asked Melanie from Wenatchee Powersports where would be a good camping spot halfway between Plain, WA and Spokane, WA. She and her partner looked at each other and said at their house would love to host me for the night. I was honored and delighted that they would do that for me. So the next morning, I met them at their trailer and followed them back to Wenatchee which is about 50 miles from where we were camped. Once I got there, I learned that Sally, Melanie’s partner had to leave that night for a conference in Spokane and Melanie will be meeting her the next day there. 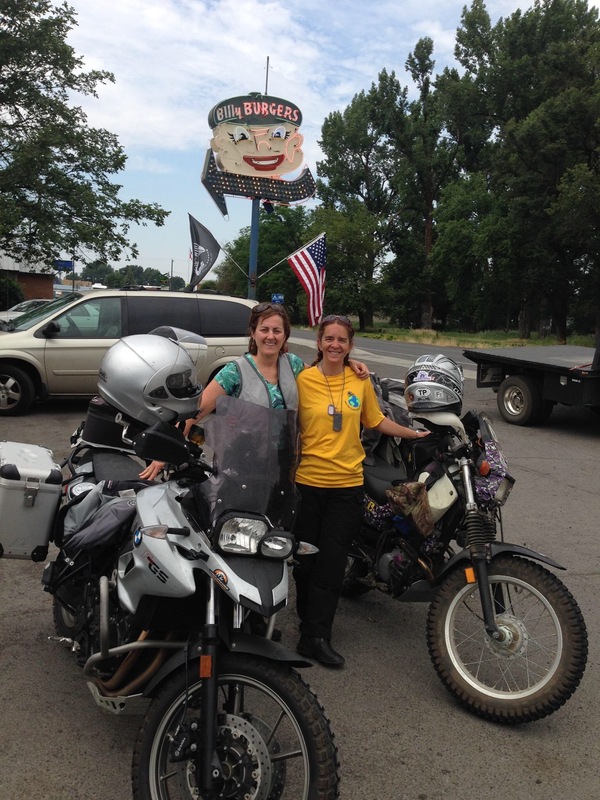 So that mean, Melanie and I will be riding together and she gave me a guided tour of a side road on the way to Spokane. During lunch at Billy Burgers in Wilbur, WA (delicious burger, by the way) , I learned that she is the owner of Wenatchee Powersports. I had an awesome weekend at the event and it was great to hang out and ride with some of the most amazing women in the industry. It feels so good to fit right in among them. For so long, I have been the only girl whenever I go dirt riding, the guys used to joke that I’m not just a girl meaning that I was one of the boys. Don’t get me wrong, I didn’t mind that but it is sure nice to be a girl once in a while. A great blog post here, Ginamarie. Though the broken chain might have been a brief disappointment, it sounds like it turned into an opportunity to make new friends. Good stuff. Thank you Ry…yes it was the perfect place to have the chain break. Thank you…I just take it one day at a time. Also, you only learn what you need to learn. Why learn how to fix a chain when your bike doesn’t need it.